Isaiah’s prophecy announces the rising of a great light which breaks through the night. This light is born in Bethlehem and is welcomed by the loving arms of Mary, by the love of Joseph, by the wonder of the shepherds. When the angels announced the birth of the Redeemer to the shepherds, they did so with these words: “This will be a sign for you: you will find a baby wrapped in swaddling clothes and lying in a manger” (Lk 2:12). The “sign” is in fact the humility of God, the humility of God taken to the extreme; it is the love with which, that night, he assumed our frailty, our suffering, our anxieties, our desires and our limitations. The message that everyone was expecting, that everyone was searching for in the depths of their souls, was none other than the tenderness of God: God who looks upon us with eyes full of love, who accepts our poverty, God who is in love with our smallness. 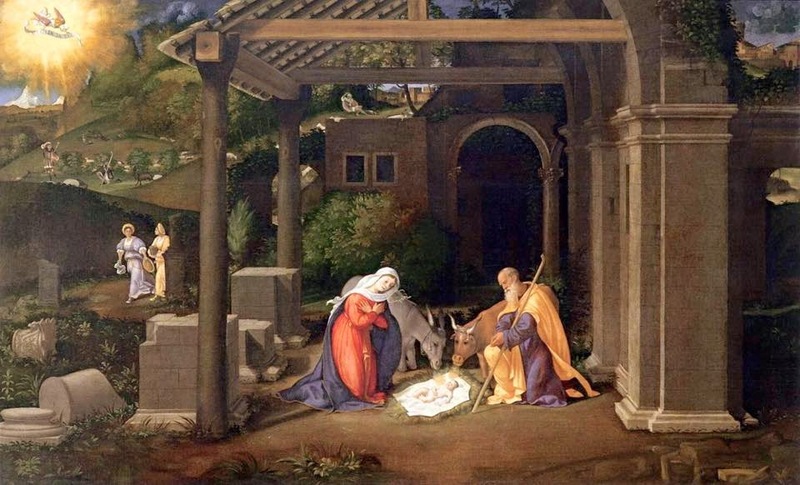 On this holy night, while we contemplate the Infant Jesus just born and placed in the manger, we are invited to reflect. How do we welcome the tenderness of God? Do I allow myself to be taken up by God, to be embraced by him, or do I prevent him from drawing close? “But I am searching for the Lord” – we could respond. Nevertheless, what is most important is not seeking him, but rather allowing him to seek me, find me and caress me with tenderness. The question put to us simply by the Infant’s presence is: do I allow God to love me?